AtomInfo.Ru – independent website devoted to the nuclear power engineering in Russia and abroad. Website is registered as the mass-media. 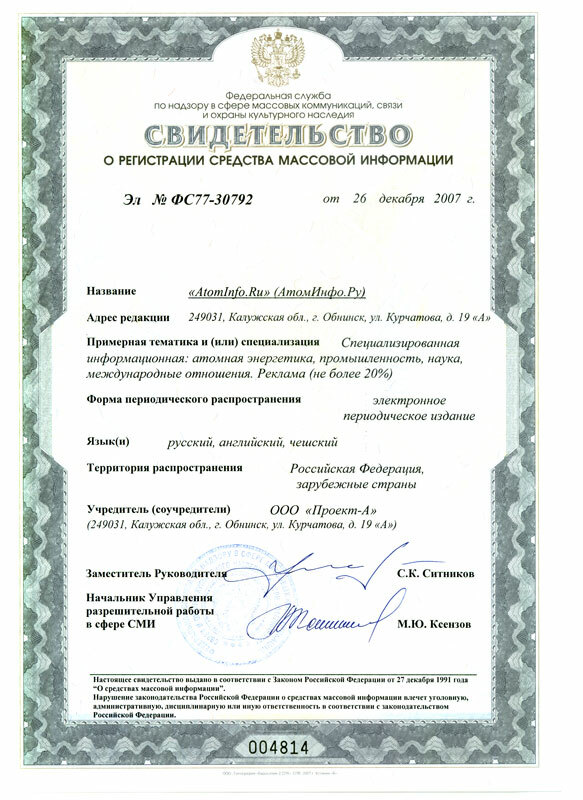 Licence number is Эл №ФС77-30792. Languages - Russian, English, Czech. Website is started October 16, 2006. With best regards to our readers. 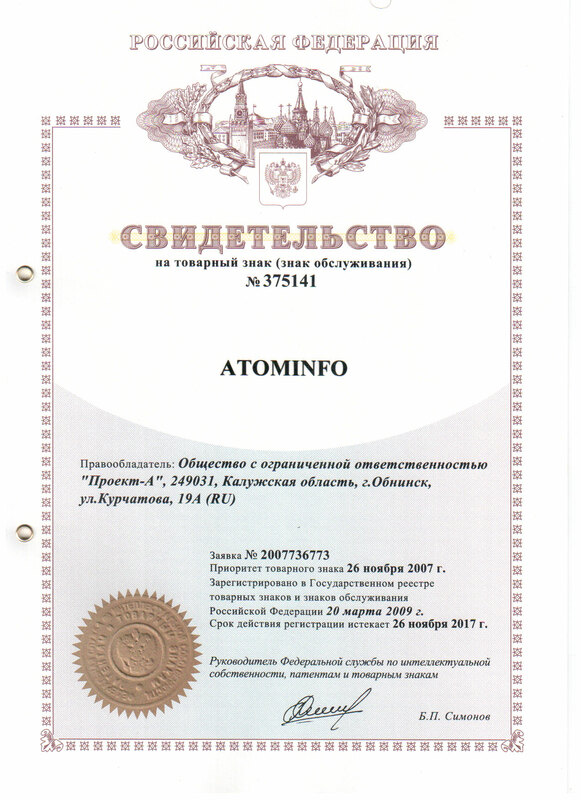 AtomInfo.Ru constitutor - Project-A Ltd.
Mail address: Gorky street, 4, office 14, Obninsk, Kaluga region, Russian Federation.